Because CZs are badly overpriced now days. Just like the Klashnikov sporters which were $350 and are now $650. BTW last S&W factory sale at Shooters of Jax SWaMPy Sport 15s were $539. You can get the EAA version of the CZ with a .22 LR conversion fitted for less than a CZ! Who is tight with a buck. Expect CZ’s to go up in price again and to equal SIG and HK. NO! Not before I get my 97b! EAA is fighting past, and some current, issues with rotten customer service. CZ-USA has gotten better over time (by which I mean since the 80s), and CZ-Custom pushes them up a lot too. I would not buy a Witness (EAA/Tangfolio) except from one of the Witness gunsmiths — too many potential issues that I don’t want to potentially deal with EAA on. Those issues vary from problem guns to changes in magazine design that can be problematic to spot. I’d like a CZ-75B in matte stainless, myself. I’m torn between a CZ and a GP-100 Match Champion. If CZ could produce a decent factory trigger pull, I’d be all over one. But they can’t and I won’t. 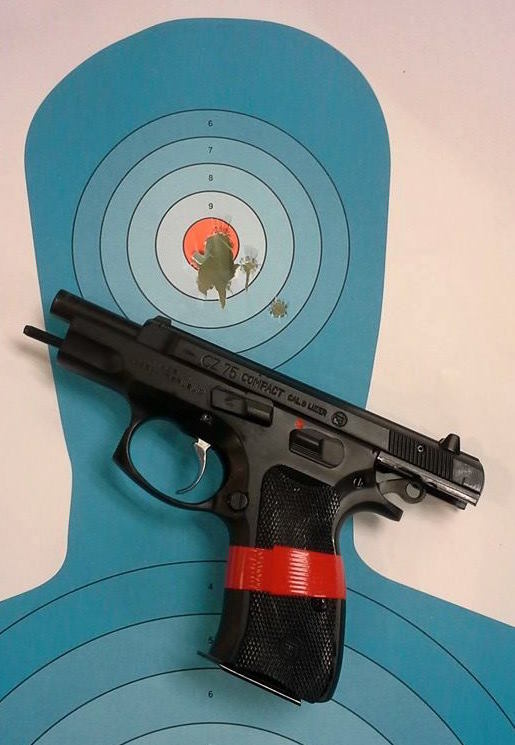 You’ve not fired a CZ 97B before. I can tell. Because they have absolutely amazing triggers. And with use – the rest of the CZ’s triggers become very good. Except for the CZ-100… Which is probably just about the worst I’ve felt in any Service Auto. Not to mention that trigger reach which even Godzilla would find a problem..
About a year ago I had a fascination with my P-01 as well. Unfortunately, the magazines didn’t hold up well to a two day Tom Givens Class after getting dropped in the Texas sand a few times. After replacing the springs (most were new) with Wolff Springs they seemed to function fine as long as I was just on the square range. But, I completely lost confidence in the firearm as a defensive tool after that experience. Of course, my back-up pistol for the course, my G19, finished out the weekend without an issue. Great gamer guns and range guns. But, once bitten twice shy for me and CZs as defensive tools. Which is sad, because I’m really interested in a P-07 from CGW.